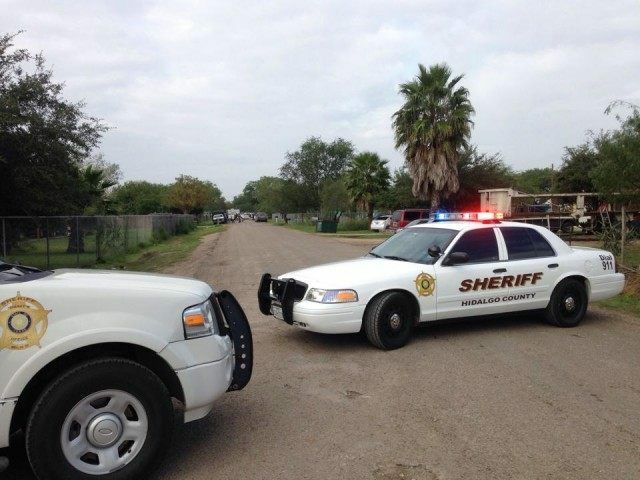 EDINBURG, Texas — Teams of gunmen have been running rampant in various communities near the Texas border, storming into homes demanding drugs or robbing victims at gunpoint. In one night, a team of hooded gunmen carrying rifles stormed at least three homes, assaulting the victims inside while demanding cash or drugs. Just one day later, a team of gunmen shot a robbery victim and led authorities in a high speed chase and managed to flee. Information provided to Breitbart Texas by the Hidalgo County Sheriff’s Office revealed that the attacks began on Sunday late night and continued onto early Monday morning where–in a span of hours–the gunmen struck three separate homes and unconfirmed information points to a possible fourth being ransacked. In the first attack, three hooded gunmen stormed a house in a rural community near this border city. The gunmen ordered the family inside to get down on the floor while they looked for drugs. The gunmen stole various electronic items from the house. Less than 30 minutes after the first robbery, authorities responded to another rural home near the border city of Mission. In that attack, the gunmen stormed into the house and struck the homeowner of the house in the head with one of the rifles. The gunmen demanded drugs as they kicked him several times in front of his family. The gunmen also stole various electronic items from the house. About two hours later, authorities responded to a third home invasion where a team of five hooded gunmen stormed a house. The homeowner told authorities that he woke up to seeing the team of gunmen in his house. While no one was injured in that attack the gunmen stole a television on their way out. The latest attack took place on Tuesday night when a team of gunmen riding in a dark colored SUV ambushed, robbed and shot a 36-year-old man as he was leaving a convenience store in the rural border town of Donna. The victim was able to provide a description of the vehicle and the gunmen. Sheriff’s deputies spotted a vehicle matching the description shortly after and with the help of Texas State Troopers tried to pull it over. The gunmen managed to elude capture by driving at high rates of speed through rural neighborhoods. The shooting victim is listed as being in stable condition at a local hospital and is expected to recover.